A very popular online course, the leadership and management, level 5 health and social care qualification replaces the Level 4 NVQ in Leadership and Management for Care Services and the RQF Level 4 NVQ in Health and Social care from City and Guilds. Our distance learning course is for those who already work in the health and social care sector, usually as managers of the provision or as senior practitioners, assistants and deputy managers included. You must work and be employed in a Care setting to study this level 5 health and social care diploma​ course or be in the process of setting up a Care company. This qualification can go towards Ofsted or your CQC application. This qualification is recognised by the CQC and Ofsted regulatory bodies as a requirement for people working in care who are looking to take on a Registered Manager position, which would otherwise only be achievable after gaining a Registered Managers Award. This Level 5 Diploma in Leadership for Health and Social Care Distance Learning qualification will enhance your managerial and care core skills and is perfect for anybody who wants to become a manager of Children and Young People’s services or for people who are aiming to become an advanced practitioner. The level 5 diploma in management and leadership in health and social care for children provides all of the guidance you will need in order for us to assess your knowledge, skills and theoretical understanding in leadership and management within the sector. Our level 5 health and social care NVQ meets all regulatory requirements and compliance in the care sector and demonstrates continuing professional development for an individual. In order to gain the leadership and management level 5 qualification in health and social care there will be a range of mandatory and some optional units to choose from to complete the assessment. The cost of the course is £1095.00+VAT plus a £275.00+VAT Observation fee. The observation fee for Jersey, Guernsey, Isle of White, Isle of Man and Northern Ireland is £495.00+VAT. The Observation fee can be made as the final payment or spread throughout the instalments. If you pay in full by credit or debit card you can take 10% off using code PIF10 or calling 01472 240112. This qualification is competency based, evidence being gathered by the candidate as they undertake their normal work duties day-to-day. This content will form the basis of their portfolio. The evidence must reflect policies and procedures of the workplace as stated by current government legislation. Throughout the qualification candidates must work with two service users, minimum. A variety of assessment methods will be used by the assessor… Direct observation, examining work products and even expert witness testimonies will be utilised to determine success. One of our assessors will visit you at your workplace during your qualification to undertake observations of you at work. These shadowing sessions will be planned in advance in order to capture the required amount of information in one visit and to try and cause minimal disruption to your routine and employers. Knowledge based units will be assessed using a range of methods including, projects, reflective accounts, assessor questions, assignments and professional discussions. 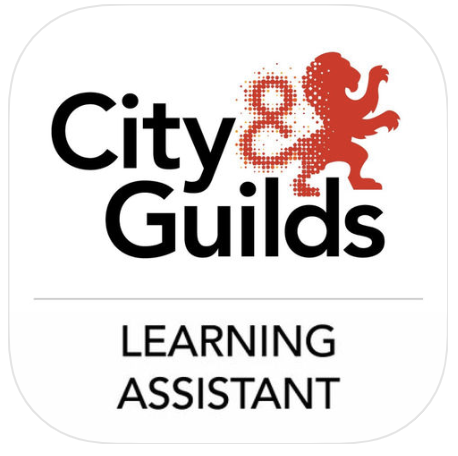 Candidates will have full access to support from our assessors via telephone, email, Skype and web links. There are no set entry requirements for this qualification. However, the qualification is only available to candidates over 19 years old. The Qualifications and Credit Framework (RCF Regulated Qualification Framework) is the way to recognise achievements through awarding credits for qualifications and individual units. It applies to England, Wales and Northern Ireland. RQF aims to provide a more flexible route to gaining qualifications and enables progression in smaller steps through the accumulation of various credits. Please add this course to your shopping cart and an SVT course advisor will be in contact with you within 24 hours to further discuss your purchase.